After upgrading to Windows 10 Creators Update, DISM restore command may fail to work. Here's how to fix DISM error 0x800f0906 on Windows 10 V1703. We all know that we can repair our Windows using DISM command-line tool. Generally DISM tool is the next choice, in case if System File Checker fails to repair the machine. You can learn more about DISM commands to repair Windows, in this article. Error: 0x800f0906; The source files could not be downloaded. Though you can manage to overcome this error by specifying a source to repair Windows image as mentioned in this fix. But if that doesn’t works, you can go ahead with the steps mentioned below, especially for Windows 10 V1703. 4. Press + E to open File Explorer. Assuming Windows is installed on C: drive, navigate to C:\Windows\servicing\Packages. Here, look for Microsoft-Windows-TestRoot-and-FlightSigning-Package~31bf3856ad364e35~amd64~~10.0.15063.0 and Microsoft-Windows-TestRoot-and-FlightSigning-Package~31bf3856ad364e35~amd64~~10.0.15063.0.mum files and delete them. Close File Explorer and now re-try the DISM restore command and this time it should work fine. Absolutely brilliant! This has driven me nuts and I have been looking all over the net for a solution. Yours was the first that worked. Thanks! Thanks for this, this has been a long time issue for me. I spent the whole day looking for answers and I think this is the only place that mentions it. 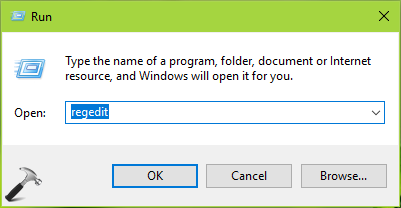 I was getting the DISM Error 0x800f081f, The Source Files Could Not Be Found error rather than the can’t download error and it seems to have solved that. The taking control part seems complex but I found it was just a case of right clicking on the registry entry, going to permissions and ticking the box for Full Control next to my username. Thanks again.